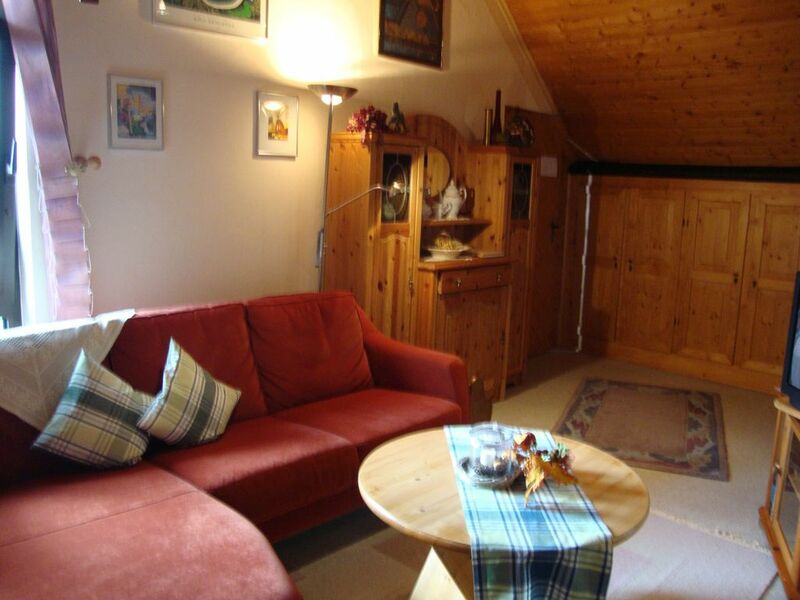 Comfortable Non-smoking apartment (65 square meters) in the heart of the Eifel. Enjoy your holidays in a cozy atmosphere or a short stay. The apartment offers a spacious living area with satellite TV flat screen, a compl. Kitchenette with fridge-freezer and dining table, and a double bedroom and bathroom with shower toilet. Wi-Fi is available. Our Hofterasse you can relax in the shade of the vine leaves and let your soul. The garden with barbecue and garden shed is an ideal haven for those seeking peace and nature lovers. Directly from the house you can walk and hike. Sehr schöne Wohnung. Alles super sauber und alles da was man braucht. Vielen Dank für Ihre sehr gute Bewertung. Ich habe mich sehr darüber gefreut. Ich wünsche Ihnen alles Gute und vielleicht siehr man sich mal wieder. Bei einem Aufenthalt unter 4 Übernachtungen fallen Gebühren von 10,--€ pro Übernachtung an.